Whenever you buy a car from Cars 4 Sale you will have the option of having the additional assurance policy Auto Protect Assist. For an additional premium, you will be entitled to the following Auto Protect Assist services. 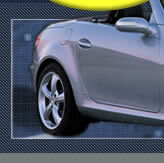 Auto Protect Assist is only applicable if the additional premium has been paid. See proposal form for details. You Auto Protect Assist cover protects you when you're driving your car in all sorts of eventualities, whether you've run out of fuel, lost your keys, had a puncture, or run into more serious trouble including if you've had an accident. Whatever the reason for an interruption to your journey, help is just a phone call away. If you chose the auto Protect Assist membership option, and You have paid the extra premium (see the Proposal Form for details), You will be entitled to the following Auto Protect Assist services, following a Breakdown as defined below. Breakdown means an electrical or mechanical failure within the UK, which immediately renders the Vehicle immobilised. This is a dynamic emergency assistance service designed by experts to suit You. Auto Protect Assist administered on Our behalf by Call Assist, operates a 24 hours, 365 days-a-year service for You, to telephone should Your Vehicle experience a Breakdown. The Call Assist Rescue controllers are trained to the highest degree and are backed by the latest computer technology and mapping facilities together with a fully trained network of Recovery Operators throughout the United Kingdom. If You are unable to make a connection, please use 01206 714329. (These telephone numbers are strictly for rescue purposes only) The Rescue controller will assist You professionally, sympathetically and deal with Your request quickly. Please have the following information ready to give to the Rescue Controller, who will use this to validate Your policy. 1. You are an Auto Protect customer. 2. Your return telephone number with area code. 3. Your policy type and number and Your Vehicle registration. 5. What seems to be the problem (for example, if You have a puncture tell the Controller Your tyre size). The Rescue Controller will take Your details and ask You to remain by the telephone You are calling from. Once arrangements have been made they will telephone to advise who will be coming out to You and how long they are expected to take. you will then be asked to return to Your Vehicle. Please remember to guard Your safety at all times but remain with or nearby Your Vehicle until the Recovery Operator arrives. Once the Operator arrives at the scene please be guided by his-her safety advice. If the Police are present please advise them that You have contacted Your recovery service or give them the telephone number to cal on Your behalf. Details of Your auto Protect Assist policy may not reach the Call Assist by the time assistance is required. In this unlikely even, they will always assist customer, but before cover can be validated, they will ask the driver to provide their credit card details. When confirmation of cover has been received, the credit t card details will be destroyed immediately. If breakdown cover is not valid, payment for the service will be deducted from the credit card. please contact the supplying Dealer if You have any questions concerning this procedure. One free telephone call will bring help at the roadside if You Breakdown or Your Vehicle is immobilised. Auto Protect Assist will provide a fast dependable service to get You going again. if Your Vehicle cannot be repaired at the roadside we will take Your Vehicle to the nearest authorised Dealer or if not possible to the destination of Your choice. You can rely on Auto Protect assist to attend a Breakdown at Your home or work to get You going again. Should this not be possible Your Vehicle will be taken to an Authorised Dealer. Please Note: The full terms and conditions of Your policy will be sent to You within the next 28 days.